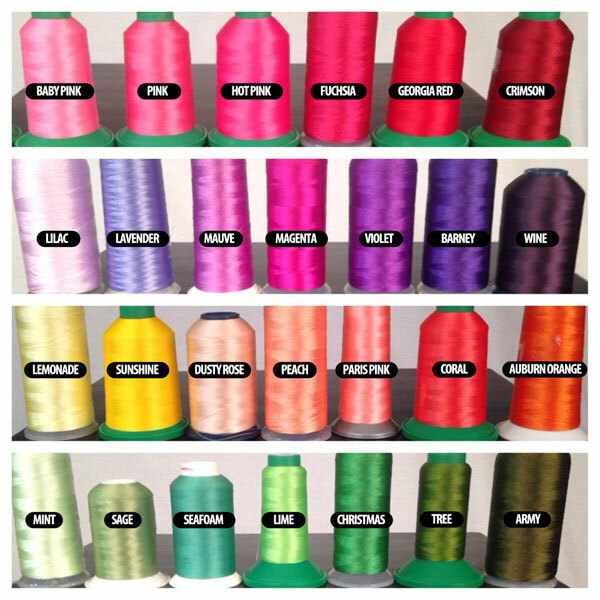 SKU: 704. 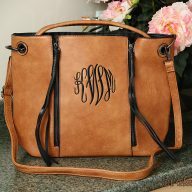 Categories: Bags, Carolina Monogram, Clutches, Clutches and Purses, Designer Inspired Purses, Designer Inspired Purses, Leather Bags, Leather Bags. 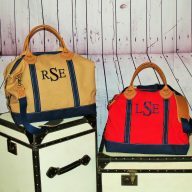 Are you looking for that perfect bag to hold your essentials? This bag is perfect while running errands or spending a night out with your girl friends! 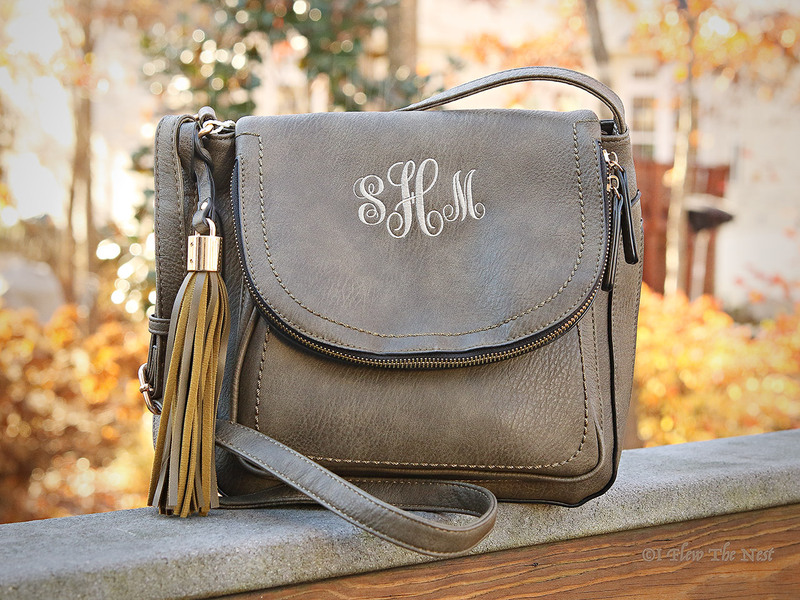 Our Crystal Cross body in olive green is well suited for the jet set life, with a long shoulder strap! 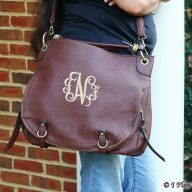 You may choose to add your monogram on the front flap. 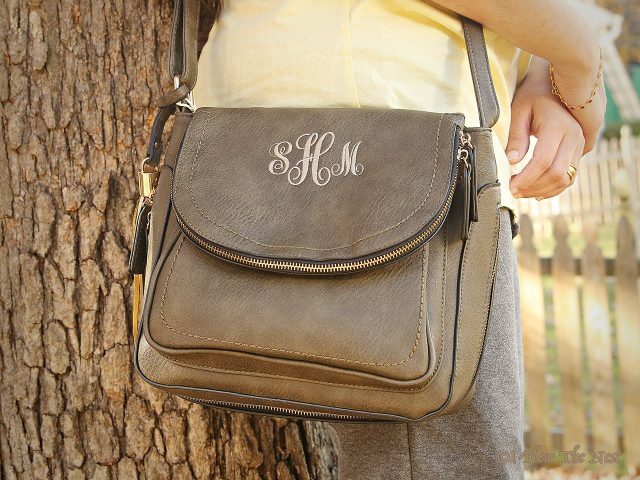 The olive green Crystal cross body featured in the picture was monogrammed in Elegant font. Exterior Pockets: one front slip pocket under flap, one rear zip pocket, one zip pocket on the flap. Closure: Flap closes with magnetic snap and there is a zipper inside that closes bag. 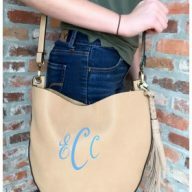 Adjustable shoulder strap, Gold tone hardware, Tassel accent Saddle bag… you will love it!